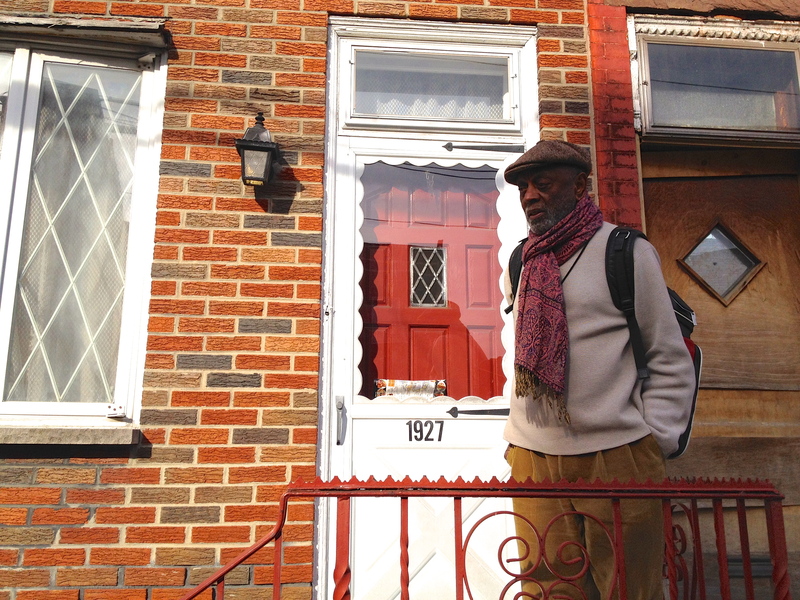 Yesterday we took Tootie Heath to his old neighborhood in South Philly. He stood outside the house he grew up from 12 years on. 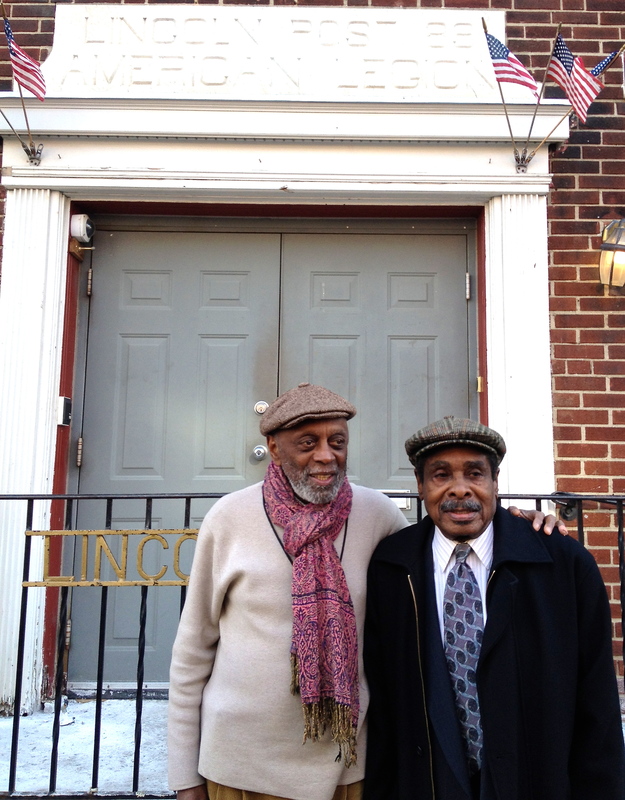 His old buddy saxophonist Sam Reed still lives in the neighborhood, and they posed outside the Lincoln Post, where Tootie heard his first live drums as part of the local marching band.